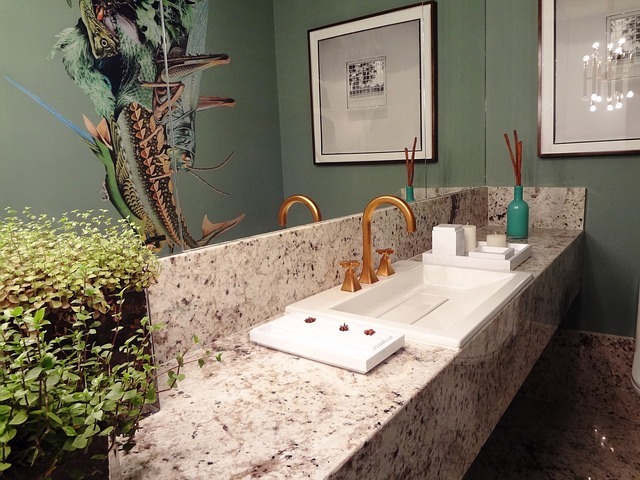 Whether you’re remodeling your bathroom, building a brand new one, or just freshening up a few details, you absolutely need to know the latest from the 2016 bathroom renovation trends. Take a look at what’s trending tight now and see what you like, and what you think will maybe stand the test of time. Do you think that the porcelain tiles are outdated? No, they will be very popular in bathroom design in 2016 too. That type of tile is far more durable and admits for highly realistic texture and colour depth than do other ceramic tiles. Wall and floor tile colours and styles range from classic stone reproductions to sleek contemporary ones that make your bathroom more comfortable and good-looking. If you want to relax in your bathroom, simply get a tub. That way you’ll make your bathroom the excellent space to unwind after a long day at the office. Choose a standalone soaking tub in a traditional or modern design. And even if you add the tub, leave the shower be. You can book one of the Fantastic bathroom renovation teams which will design your new bathroom so it incorporates both styles well enough. You know what walking into a bathroom designed with granite or marble feels like? It seems you walk into a place of luxury. It’s just that marble exudes class. One of the most popular marble styles is the white bathroom colour with gray accents that go well with several other accent colours. This bathroom renovation design style gives a sense of cleanness and elegance. Also, it gives the space a feeling of calmness that makes you think you’re on spa procedures. 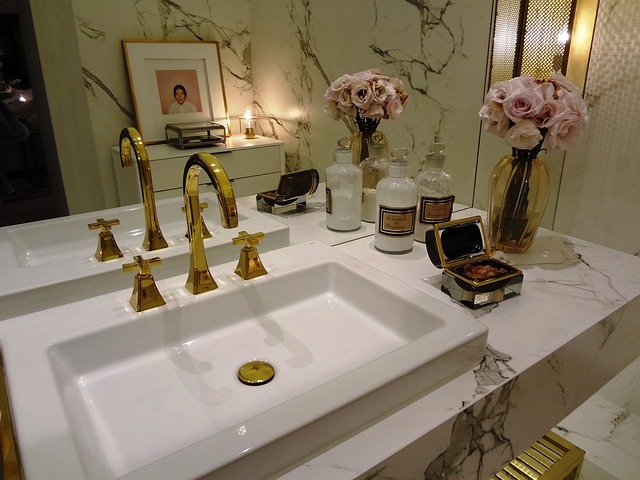 Marble could be used for the floors, countertops, and walls. Bear in mind that there are other marble colours, such as pink, black, brown, and green, so opt for the colour that suits your style the most. Granite comes in so many different colours and because of that, your remodelling options are endless. With its wide variety of coloured crystals, your bathroom will be both durable and beautiful. White has long been the traditional choice for bathrooms. 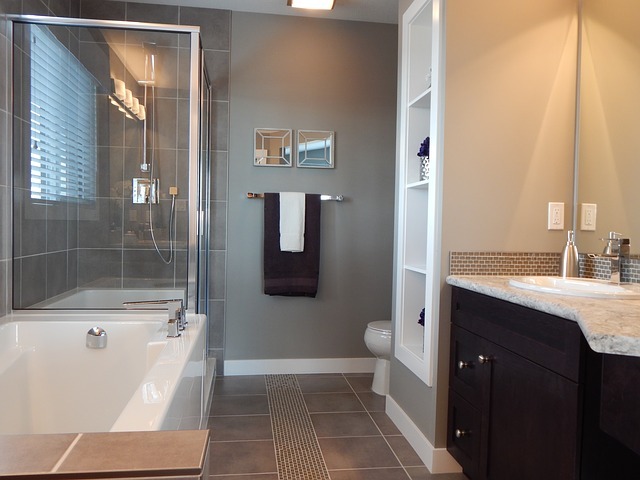 But now, in 2016, the grey has become the colour to incorporate in your bathroom design. So why not work with both, making white the primary colour of your bathroom and using gray for making certain features in your bathroom pop out. LED fixtures and bulbs are becoming more popular by the day. Adding LED lighting to your bathroom is more expensive, but at the same time, it’s a lot more beautiful that the regular lighting options. You can also hide the LEDs into mirrors, for instance, making grooming and makeup feel even better. With LED you’ll make your bathroom more elegant and save up on electricity at the same time. Can you imagine what could it be if you had a fireplace in your bathroom? Spending countless hours in there would be just amazing. And if your bedroom and bathroom are one in front of the other, you could make the fireplace the focal point, which connects both. Everyone hates cold floors, especially in the bathroom. The problem, however, can be easily fixed by adding a floor heat system. The tiny electric coils will make your floor warm seven days a week, making you feel even better when taking a hot shower in the winter. Copyright © 2016 - 2019 Fantastic Handyman. All rights reserved.